Online tango lessons from the maestros you admire the most. Discover the methodology, technique and philosophy of some of the greatest like Mariana Montes & Sebastian Arce or Roxana Suarez & Sebastian Achaval. "The Legacy" is the production that contains what Sebastian Jimenez and Maria Ines Bogado are leaving to us after 8 years of creating pure art and after having taken the decision to follow different paths from now on. Moreover, for the first time, we are introducing in one of our productions the interaction between three generations of tango dancers. Three generations that are so different and that are so much connected at the same time – the maestros of the maestros, Carlos Perez and Rosa Forte; the extraordinary couple of tango salon world champions, Sebastian Jimenez and Maria Ines Bogado and the beautiful couple Pablo Ávila and Maria Casán, having the role of the students in this Tangomeet production, as well as that of teachers in their own tango school that they have opened in Vienna, Austria – role that puts them in a distinct state of mind, when learning. 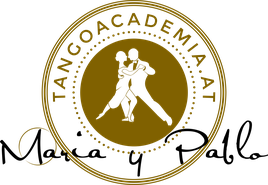 "El legado" you find on: Tangomeet.com where you can take a look at the online lessons and buy them. With our Code - TANGOL957 - you'll get a discount of 5 % .